The Healthcare Data, Technology & Services Blog: What are some ways payers can use digital to reinvent their business models? What are some ways payers can use digital to reinvent their business models? 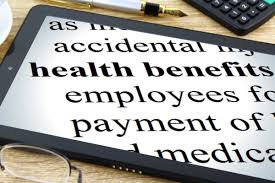 As someone who's been working in healthcare, mainly for health plans, payers and risk-bearing providers for over 20 years, I'm always interested in what others have to say about health plans and those who assume payment risk. T4: What are some ways payers can use digital to reinvent their business models? Stop with the fax machines! Seriously. Because I don't have one, and I'm not going to Kinkos to fax an auth form. Pricing that's easily understood. Tired of calling for preapproval only to be railroaded by some obscure fine print. I think payers can play in pop health. I don't mind a prevention email. "It's that allergy time of yr again"
Can they work with providers on #pricetransparency? I want to know how much care will cost me up front please. It's probably more like a billion $ question. The answer is the billions of $ hidden in those EOBs. Online scheduling, for goodness sake!! I'm a working mom with 2 young kids. I don't have time to wait on the phone. Yes! They often have the data needed to facilitate effective #PopulationHealth programs. So thanks to all those who regularly share their knowledge, expertise and opinions about healthcare and healthcare IT - via tweetchats like #HealthITChicks and via Twitter and other social media channels. You can follow me on Twitter where I regularly share information about healthcare data, technology and services.